Remind the littlest loved-ones in your life how much love you're sending them from our great state of AZ with this "Someone In Arizona Loves Me" one-piece baby bodysuit. 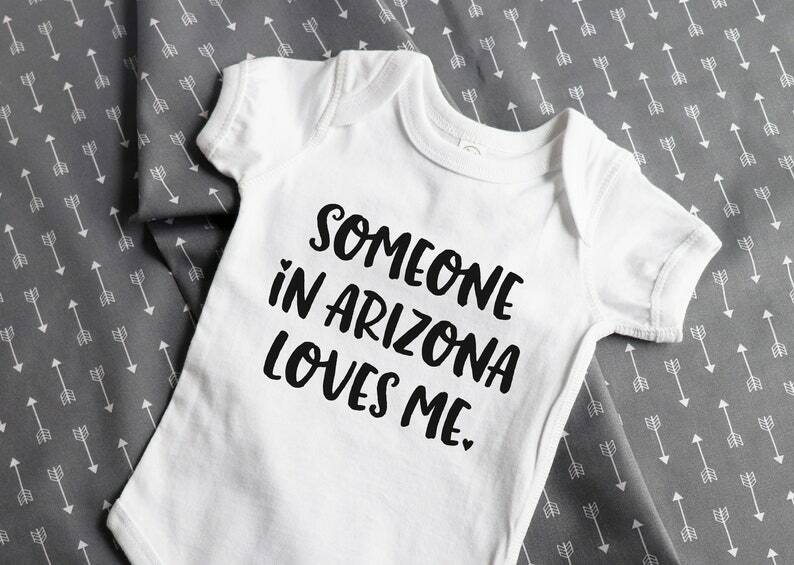 The design is printed in solid black on a crisp white onesie, making it perfect for either gender. The printing method is direct-to-garment, which means it is soft to the touch. Each bodysuit is neatly folded, tied with a cute black-and-white string bow and slipped into a clear sleeve to ensure it stays clean during shipping.